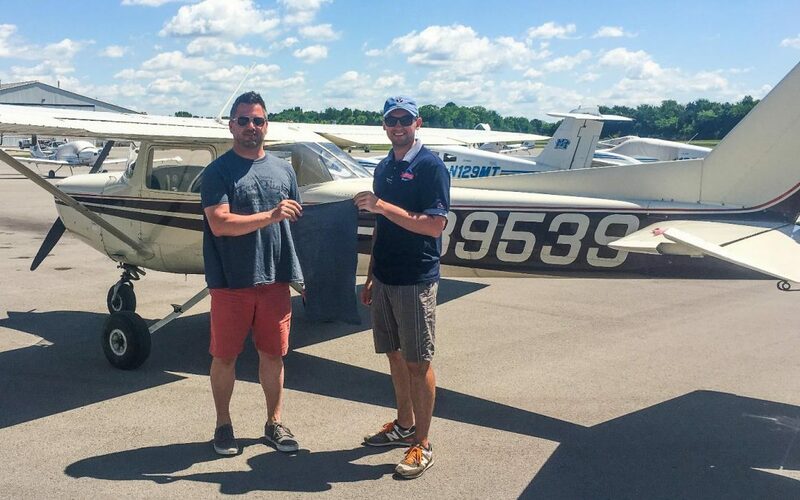 Murfreesboro Aviation flight instructor Brandon Rodriguez is proud to announce that Tim Lake has soloed our Cessna 152 after just 10 hours of flight instruction! Tim found flying radio controlled airplanes great fun and decided that it was time for him to be a pilot of a real airplane as well. Tim is Assistant Principle at Stewarts Creek High School, husband, and father of a young son. Tim, we are really proud of you and your progress as a pilot! We can’t wait to see you continue to fly and soon earn your private pilot certificate.